HIV/AIDS in South Africa — The Facts and the Fiction was recently awarded the 2014 Will Solimene Awards for Excellence in Medical Communication – an award which recognizes outstanding achievement in medical, biomedical and health communications published in the prior two years – and it’s easy to see why. At first glance the title might seem directed to an elite and narrow audience of health professions concerned about AIDS and HIV, but closer inspection shows that it’s actually a review of some 3,000 medical articles which synthesize and document the story of AIDS over some thirty years and provide a startling account of medical policy mismanagement and flawed statistics. The details are synthesized in a summary of statistics and facts about how HIV/AIDS has spread around the world, and refutes commonly-held beliefs, demonstrating that scientific literature clearly shows New York City as the epicenter of the AIDS epidemic, and that the idea that HIV came from monkeys is false. 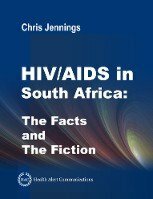 Jennings’ weightier, primary book, HIV/AIDS – The Facts and the Fiction, offers support of his premises and investigations into scientific statistics and literature. This shorter companion volume narrows the focus to South Africa, offering data listing raw numbers of reported AIDS and empirical death counts and providing an opportunity to contrast these figures with computer estimates and data from the U.S.
College-level collections looking for a solid gathering of statistical evidence surrounding HIV and AIDS will find this volume and its companion to be essential references. Feckless, hypersexed Africans killing themselves with an STD was an idea just too compelling to be diverted by facts. At least, perhaps, until now. No disease in modern memory has produced more excitement and misinformation than HIV/AIDS. . . . But the expected Western heterosexual epidemic never materialised and global concern shifted towards Africa, where predicted AIDS devastation and extinction became commonplace. For example, the then president of Botswana, Festus Mogae, declared in March 2001 that his country faced extinction. His comments led to many newspapers suggesting Botswana would be gone within 10 years. A string of Western and African leaders followed Mogae by vying for the most apocalyptic vision during a special session of the UN to address AIDS in June 2001. In case you are wondering, Botswana avoided extinction. The population of Botswana continued to increase steadily from 1.8 million in 2001 to just over two million in 2010. And the population of Africa as a whole increased by about 20 per cent from 2000 to 2010. Jennings’ first proposal is that AIDS originated in New York City and then migrated to the rest of the world. Consequently, he dismisses the idea that the HIV virus found its way into human populations through contact between humans and African monkeys and also questions the extent of the AIDS pandemic in Africa. Jennings begins by arguing that the first credible cases of HIV/AIDS emerged in New York and the West Coast of America, not in Africa. From there, the disease migrated to Denmark, West Germany and Britain, with the early cases involving a substantial proportion of gay men who had visited the US. In all of these countries, the emerging epidemic lagged significantly behind the US. For example, by July 1983, Britain had reported 14 AIDS cases compared with 1,972 in the US. This pattern was suggestive of a spread from the US. Critically, Jennings argues that AIDS also migrated from the United States to Africa. The first South African cases of AIDS were reported in 1982, involving two flight stewards who had visited the US. By April 1987, there were 64 confirmed AIDS cases in South Africa compared with 33,952 cases in the US. Certainly, Jennings is right that HIV prevalence was incorrectly calculated based on those early blood tests (and also based on clinical diagnosis, where AIDS was ‘identified’ from clinical presentation). The hyped expectation that parts of Africa may become extinct was based on projections from the Global Programme on AIDS and then from UNAIDS which extrapolated from those early, apparent, seroprevalence rates. Those projections were hopelessly flawed and pessimistic, as is obvious from the fact that the African population has continued to increase despite the prophecies of doom. The Global Burden of Disease Study (GBD 2013) group, however, has recently confirmed the inflated nature of the panic. In a highly technical and exceptionally extensive report, the GBD group says that the number of people living with HIV is 18.7 per cent smaller than estimated by UNAIDS in 2012. This finding is anticipated by Jennings, who documents the continual downward revision of HIV prevalence rates by several agencies and researchers that cared to look more carefully at the figures, or who conducted more precise tests on the ground. “Chris Jennings persuasively argues that AIDS did not originate in Africa and that its spread is vastly overestimated. Contrary to the widely held belief that AIDS originated in Africa, Jennings makes a convincing case that the first ‘legitimate’ cases of AIDS were in the United States . . .
Jennings’s portrayal of how AIDS spread to become a global epidemic is also unorthodox. Contrary to the widely held assumption that AIDS travelled from the African jungle to urban centres from which it permeated the Western world, Jennings argues that the spread of AIDS exemplifies his theory that “disease follows trade routes”. He claims the first cases of AIDS were seen in the US, before the disease appeared throughout Europe, with the majority of the early victims having had homosexual relations in the US or with an American citizen. Jennings also highlights the fact that the first two confirmed AIDS victims in South Africa were two gay men who had travelled to the US. . . . . his argument that the disease followed trade routes carries some weight. The fact that, as the virus began to ripple through the Caribbean and Europe, there was a virtual absence of the disease in Cuba and the Soviet Union, seems to confirm linkages between disease and trade routes, or a lack thereof, during the Cold War era. Jennings’s investigation into the statistics that surround HIV/AIDS prevalence in Africa is nothing short of alarming. In particular, HIV/AIDS in South Africa provides a provocative and compelling analysis into a country he believes is the “principal exemplar of the discrepancy between modelled HIV/AIDS estimates, surveillance data, and death counts”. His analysis questions both the methods used for diagnosing HIV/AIDS and the validity of country-wide estimates made by international organisations and South Africa’s Department of Health. Throughout HIV/AIDS in South Africa, Jennings provides an interesting and well-presented statistical summary that will leave readers questioning the validity of internationally-approved estimates. Anna Rabin has a Masters in African Politics from the School of Oriental and African Studies (SOAS), University of London. She has a particular interest in East Africa and demography. “A comprehensive and extremely well-researched new book about the HIV/AIDS epidemic will shed light on a disease that has ravaged the world for more than 30 years and impacted the African-American community in record numbers. HIV/AIDS — The Facts and the Fiction was released earlier this year and provides a detailed, scientifically intriguing and cogent examination of the fallacies and facts about HIV/AIDS. While the book is written in a mostly scientific research tone, the author still manages to translate technical and multisyllabic words into an easy-to-read text. For example, when describing medical jaw-breaking jargon such as “Strongyloides stercoralis” or “Toxoplasma gondii,” Jennings breaks it down to simple terms: “roundworm” for the former, “parasite” for the latter. What becomes immediately apparent in the early pages of the book is that the author’s extensive research, interviews and scouring of thousands of articles, journals and books has yielded some essential info about HIV/AIDS. First is that New York City is the epicenter of the AIDS epidemic. This fact sharply contradicts the popular belief that San Francisco, Los Angeles or even Africa are the places where the virus began and continues to flourish. The author has also released a sister book, HIV/AIDS in South Africa — The Facts and the Fiction. As the title suggests, the book chronicles the epidemic in Africa. Jennings, a graduate of Harvard University with a degree in biology, should be commended for writing about an issue that constantly needs to be at the forefront of public discussion. Additionally, the author recently contacted an editor regarding a broadcast about HIV/ AIDS on the National Public Radio web site that contained inaccurate and ambiguous information about the virus. “A few years ago, I saw a documentary about AIDS which began by asking which of a number of places had the highest HIV infection rate. I was shocked to learn that the correct answer to the question was the only American city on the list, Washington, DC, since all the other choices were either in Africa or the Caribbean. I had unwittingly fallen prey to the conventional wisdom which has led most people to believe that AIDS originally started in Africa where it had infected millions of victims for decades prior to crossing the Atlantic and arriving on these shores around 1980. That piece of propaganda simply isn’t true, according to Chris Jennings, a Harvard-educated medical writer who has staked his career in the field of HIV research. He has devoted much of the last 20 years in quest of the truth about the AIDS epidemic. The upshot of that herculean effort is HIV/AIDS — The Facts and The Fiction, a seminal work which does an excellent job of dispelling myths in the hope of educating the populace and encouraging politicians and the medical community to reorder their priorities. For example, the author argues that because of the widespread belief that Africa is the epicenter of AIDS, a disproportionate amount of resources are wasted on circumcisions and/or anti-retroviral drugs on patients there who aren’t apt to be infected. Meanwhile, the readily-winnable fights against more lethal diseases on the continent, like pneumonia and diarrhea, go underfunded. Such surprising revelations abound in Jennings’ informative reference text. Though academic in nature, his encyclopedic treatise nevertheless arrives augmented by a helpful glossary which makes it all accessible to the layman by explaining the meanings of dozens of such obscure terms as “cytotoxic,” ”immunoglobulin” and “neurotropic”. “HIV/AIDS sudden appearance decades ago has attracted much research and it can often be difficult to cut through to the truth. 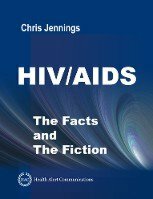 HIV/AIDS — The Facts and the Fiction discusses the epidemics surrounding these diseases, with regional studies on its spread, the origin of the virus, and much more. 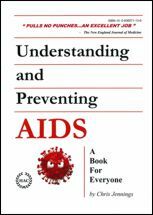 The message contained in Understanding and Preventing AIDS: A Book for Everyone is so valuable that it appears in a Spanish-language edition, has been favorably reviewed by the New England Journal of Medicine, and has received much acclaim from hospitals, medical institutes, and schools adopting it as a textbook. With so many books on the market discussing nearly every imaginable aspect of AIDS, it may initially be difficult to understand why Understanding and Preventing AIDS is a standout – but evidence to support this fact begins with a table of contents that lends especially well to at-a-glance information with subject headings that are specific and well-done (“Humans-The Host”, “Types of HIV Infections”, “Catching AIDS”, “Preventing HIV Infections”, and more). There’s a lot of science and health information – much of it quite detailed; but all of it accessible to lay readers. There are charts, illustrations, and color photos – in other words, any kind of informational visual needed to explain a system or a medical point is employed. Finally, there’s a candid attention to discussing everything from sexual method to why there is a reluctance to consider condoms, leaving nothing to wonder. Simple language is used that is direct, scientific, and easy to understand, making Understanding and Preventing AIDS: A Book for Everyone a ‘must’ for any collection looking to blend the latest scientific and health facts with an approach accessible to lay audiences and medical personnel alike. “Easy-to-digest, non-sensationalistic manner . . . researched and authored by Harvard-educated biologist and medical writer Chris Jennings, offers succinct chapters addressing everything from the history of sexually transmitted disease to tips on societal prevention. Jennings dispenses with confusing medical jargon in his description of how AIDS works . . . . Terms used to illustrate the host/invader relationship are picturesque without being distractingly so . . .
“The history of sexually transmitted diseases, the different types of AIDS infections and how they are transmitted are presented along with the methods presently used to detect and treat AIDS. 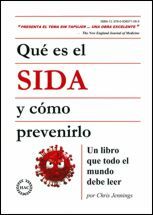 In the chapter on prevention, Jennings emphasizes that educating the public is the key to preventing further transmission of the virus. He lists precautions that should be taken to avoid exposure to AIDS.